John Martin is an exceptionally experienced and effective advocate in a very wide range of commercial chancery and business disputes. He is adept at leading a team of specialists in complex litigation, whether within or without his own specialties. He has a particular expertise in contentious trust cases, in company and insolvency matters, in contract disputes of all types (often with a complex technical background) and in tort (particularly the economic torts, having appeared for the successful party in the leading modern House of Lords case on unlawful means conspiracy, HMRC v Total Network  1 AC 1174). He deals also with professional liability disputes in these and other commercial chancery areas. His practice is both domestic and international: Overseas, he has dealt with matters originating in Hong Kong, Singapore, the US, Australia, Canada, Russia, Switzerland, Italy, Bermuda, Gibraltar, Netherlands Antilles, Nevis, the Cayman Islands and the Channel Islands among others, and has appeared in the courts of many of these jurisdictions. 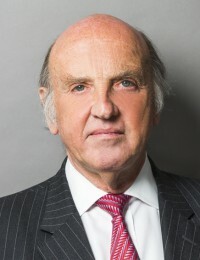 He is a (part-time) appeal court judge in Jersey, Guernsey and the Cayman Islands and has been a deputy High Court judge for over 20 years; and he is an experienced arbitrator in international and domestic disputes. He is also a qualified mediator. John Martin QC is described by Who’s Who Legal: UK Bar 2016 for Private Client as the “go-to silk” at chambers for contentious trust cases and as a “great tactician”. John Martin QC has been consistently recommended in the legal directories, Chambers & Partners 2015 describe him as “an enormously impressive man” with “tremendous gravitas” and “who is terrific on his feet”. Previous editions note his “great attention to detail” and “superb advocacy”. He is also commended as being “prescient in his advice and has an incredible willingness to be part of the team. He doesn’t pontificate from afar, and provides invaluable analysis”.